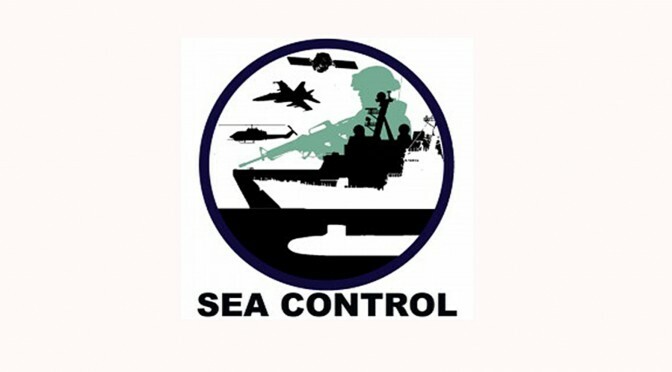 Join the latest episode of Sea Control for a conversation with Professor Chris Taylor of Georgetown University to talk about the Hacking for Defense (H4D) movement. Pioneered by Stanford Professor Steve Blank, H4D is bringing Silicon Valley’s innovation ethos to combat national security challenges. Chris takes us through the defense innovation ecosystem, the partnerships which support it, and how H4D is becoming a fixture in university classrooms. The transcript of the conversation between Chris Taylor (CT) and Matthew Merighi (MM) begins below. Special thanks to Associate Producers Roman Madaus and Ryan Uljua for helping produce this episode. MM: As I mentioned at the top I’m here with Professor Chris Taylor of Georgetown University and a member Hacking for Defense. Professor Taylor, thank you very much for being with us on Sea Control today. Now as is Sea Control tradition, Professor Taylor, please introduce yourself tell us a little bit about your background and how you got to be where you are right now. CT: I spent 14 years in the Marine Corps as an enlisted infantryman and force recon. I finished undergrad at night. I went to night school my last three years. I left the Marine Corps and went to business school at the College of William and Mary where I earned an MBA and worked for five years after that. I went back to school at the Harvard Kennedy School where I earned an MPA in political economy and international security. I’m a two-time defense industry CEO and as you mentioned I’m an adjunct professor of national security studies at Georgetown University. MM: You obviously have a very broad array of different experiences both in the military, outside of it, leading businesses, but also a very diverse educational background. What were the key decision points in your life as you were building your career and your educational background that guided you on the path which you eventually went down? CT: I spent 14 years in the Marine Corps. I wanted my bosses’ job at the time I was a staff sergeant. My boss was a Major. When I did the reverse math, I would have had to have spent 10 more years to get promoted to Major just to have that job. As I evaluated all of the fantastic experiences that I had in the Marine Corps and what it had done to develop me as a leader, I thought maybe there was a different way and I wanted a way to push my Marine Corps experience through some sort of framework. I chose business school. I don’t regret that at all, it was fantastic. I loved every minute of my 14 years in the Marine Corps but I loved business school. I had a fairly easy transition to school, I got out, worked for five years in the private sector and then decided with the same formula; I had five years of experience and I didn’t know what framework to push it through to get the most of out it or contribute the most with it. So I went back to grad school at the Kennedy School. I was very fortunate. I had fantastic classmates, fantastic professors. Secretary Ash Carter was actually my adviser. So I had access to brilliant national security minds helping me think through how my experience would allow me to contribute further. That led me to leading some businesses that were successful and now I’ve dipped my toe into the teaching part of life to see how my experiences could help push forward the next few generations of national security leaders. That’s how we got to be on the phone today. MM: Let’s talk a bit about the educational piece. I have here on the hacking4defensegu.com general info page a class titled “SEST-701 Hacking for Defense: Solving National Security Issues with the Lean Launchpad,” which I kind of understand as a man with a security and startup background. Walk us through this title. What exactly is Hacking for Defense and why is the Lean Launchpad a part of solving national security issues? CT: Hacking for defense was a name that came along with the package when I was first asked to participate. Most people when they hear it only think it’s about cyber; that’s not true. Think about it in the way you’d think of life hacks: easy and quick ways to get things done which result in great benefit. The Lean Launchpad is a class that legendary Silicon Valley entrepreneur Steve Blank has been teaching which is basically about how to create and run a startup. It came through a series of conversations that happened out at Stanford where Steve was teaching this with Pete Newell who is a retired Army Colonel and Joe Felter, also a retired Army Colonel. The thought was “how do we apply the Lean Startup methodology to national security challenges?” MD5, which is the national security technology accelerator at National Defense University run by [Adam] Jay Harrison, is the U.S. government proponent for the entire education program. I’ve known Pete and Joe for a number years and when they decided they were going to syndicate the class to universities across the country I raised my hand and said I wanted to bring it to Georgetown. We’re about to close out our first Hacking for Defense class on May 1. MM: So this is just the first iteration of it? CT: It’s the first iteration at Georgetown. Stanford begun their second iteration. There are others at U.C. San Diego, Boise State, University of Pittsburgh, and James Madison University. MM: So the model is proliferating across different universities but it is still very new. Now that you are finishing your first session, from the feedback you’ve gotten from Professor Blank and the other institutions, how has the course been going so far? What have been the things that you expected and what has surprised you? CT: First and foremost, the most exciting thing is that I have nothing but complete confidence in our graduate students across the country to solve national security problems going forward. Our class has been nothing less than stellar. They are smart, they are committed, they work well in teams, they’ve been doing lots of discovery. And they’ve been doing a lot to solve problems. It’s fantastic. The second thing is that what we’ve learned is that when you allow students to self-organize into diverse teams around a problem, you get exponentially better results than if you assigned them to a team and then assigned them a problem. We’re very clear that self-organization leads to the best outcomes. One of the amazing things about the Hacking for Defense class is that it’s actually a team of teams. The center is the student. Surrounding them are the teaching team: myself and Army Lieutenant Colonel Matt Zais, who is the Deputy Director of the Strategic Initiatives Group at U.S. Army Cyber Command, and my teaching partner. Then we have a series of corporate partners. Companies like SAIS, Amazon Web Services, SAP National Security Solutions, and many others come every class to support the student teams if they get to a point where their problem-solving requires a specific resource, an engineering resource for instance, an instance in a cloud environment, or mentoring for how to think about a problem. We also have mentors who bring experience in the national security ecosystem and in business that they contact to discuss their problems and think differently. And then we have military and intelligence community liaisons. These are active duty military and people currently serving in the intelligence community who can ensure that these teams can reach out to people within the organizations they are working with, which we call their problem sponsors, to elicit as much information as they can to help solve the problem they have. This semester, we are working on four problems. One is from Special Operations Command: it’s a cross-domain solution. The next is how to use augmented reality to help military and intelligence personnel see bad guys in unstructured crowds. The next one is a social media problem: how do we use social media from an information warfare perspective to better understand what our adversaries might be doing with social media against us. We also have a counter-drone problem. It’s all the rage; everyone is writing about counter-drone. We have a team that’s working on how to use low-cost solutions to counter drones, particularly drones you might see ISIS flying. MM: That’s a really broad array of different topics. You mentioned at the top that this isn’t just about cyber but a very broad set of challenges. I’m curious about the people who are self-organizing in these teams, since I imagine this is offered through the Security Studies Program, correct? CT: That is correct. The Security Studies Program (SSP) is where I teach. Bruce Hoffman and Dave Maxwell have given us exceptional support to continue doing this. MM: In terms of the students who are in these teams, do they have technological backgrounds? Are they primarily ex-military or current intelligence officers? What are the demographics of the people participating in this? CT: All of the above. We have tech folks. We have former and current military folks. We have data analytics folks. We have linguistics folks. We have policy folks. And then of course we have the SSP folks. The course is open to all schools and all programs across Georgetown University and next year we’re going to open up Hacking for Defense to all graduate schools and graduate programs in the National Capital Region. So instead of solving four problems next year we’re going to solve 40 problems. A bit ambitious and it keeps us moving but if we want to start to develop the capability to solve problems quickly, effectively, and cost-effectively, then there is no better group of talent than America’s graduate students to be able to help us do that. That’s why we are trying to expand it the way that we are. MM: So this course will be open to everyone in the National Capital Region starting next year which, as a person who currently works in academia, I know that getting even simple things like cross-registration agreements handled can be a challenge, so best of luck to you as you navigate those minefields on the bureaucracy side; but it’s really exciting that so many people are getting engaged. The other method of engagement that I’ve noticed is that you livestream all of the lectures for this course, correct? CT: Every class session is livestreamed on Twitter @h4dgussp and also on our Facebook Hacking4DefenseGeorgetown. Every week we put it out there. It’s kind of like our own national security reality TV show. We put it out there because we want people to see the quality of students that we’re attracting to this class and the difficulty of some of the problems that they’re working on because, quite frankly, for many of these students this is a 13-week job interview. Many of our corporate partners have reached out to our students and said “look, when this is done I’d really like to speak to you about this” and that’s because they’re doing it well. They’re digging in, they’re becoming better problem solvers, they’re becoming better team members, and they’re leveraging everything that they’ve learned in graduate school and everything they haven’t learned yet. They are learning on the fly to solving the particular problem they are working on. MM: So you’ve seen firsthand the positive feedback loop of the organizations supporting the course wanting to continue getting access to the students and looping them into their own work. CT: I just spent last Friday with one of our sponsors, OGSystems in Chantilly, Virginia where the CEO and two other executives sat us down and said “we want to be part of this forever.” And the reason is because we get to see some of the problems plaguing national security but the most interesting thing is that the talent sitting in that classroom is unbelievable. We have not seen that in any other classroom environment and so they, admittedly selfishly, want to find out how to hire the very best students out of Georgetown to become part of their companies. We’re ecstatic about that. MM: Definitely. That’s always the concern, as a recent grad school graduate; the top of mind concern for those going through their final exams right about now. I’m curious that you have OGSystems and all of these other corporate partners and the military and intelligence liaisons. How did you go about building this diverse, multi-stakeholder team? It couldn’t have been easy to sell organizations, especially ones that aren’t as used to working with the military or with Georgetown in getting involved with this very ambitious, very unique program. CT: It was a little bit of everything. A lot of it came from my own personal network from being involved in the business of national security for so long. Certainly the folks at Stanford at Hacking for Defense Incorporated (H4DI) were very helpful in introducing us to different folks who wanted to be involved. I’ve gotta be honest with you: it’s not a difficult sell. This is the coolest class being taught. If you’re any type of international relations, national security, diplomacy, government, or business geek at all this is the coolest class being taught anywhere. So it’s not a hard sell. But we want to get the right people involved because there are investors in the classroom as well. At the end of the day, if there’s a “there” for the solution that the student teams have come up with, either the government will give them some money to continue their work or they’re going to start a company and they’re going to get venture money to get it going. There’s nothing else like this happening around the country right now. MM: What is the next step for Hacking for Defense, the course you in particular are teaching, besides expanding it to the other schools in the National Capital Region? What do you see as the vision for where you want this very unique and clearly very successful business model to go? CT: I’m involved on the education side, so I want to continue working with the Hacking for Defense and H4DI folks out in Palo Alto and also with MD5 to make sure we can leverage all of the talent in the National Capital Region. There’s 16 different universities in the National Capital Region consortium and we want to take advantage of all of that graduate school talent across all of the schools and programs against the hard problems our problem sponsors are giving us. What we’re coming to find is that now there’s international interest. Oxford University has interest in forming a partnership at Georgetown. I know that the NATO representative at the Pentagon for Strategic Transformation, General Imre Porkoláb, is all over trying to bring this to NATO. From an education perspective, Georgetown will play a role in the National Capital Region. From an enterprise-wide perspective, a company out in Palo Alto called BMNT has the lead on bringing the Hacking for Defense methodology into government offices, corporations, and friendly and allied militaries. So there’s a corporate and commercial side to this with BMNT and there’s an education side and that’s H4D. MM: And for the people who are out there, whether they are currently in the Fleet or listening to our partners at the University of Kiel in Germany or down in Australia, what would you recommend for ways for those people to get involved or to learn about your organization? CT: First, I’m glad you mentioned Australia. One of our mentors for Hacking for Defense at Georgetown is a gentleman by the name of Jamie Watson and he is an Australian military liaison for innovation and technology. He’s actually helped bring Hacking for Defense to the Australian military already. So if you’re out in Australia, we’re coming to a base near you. BMNT is bringing it out there. If you are a member of the military or intelligence community and you have a particularly difficult problem and you don’t have the capacity to solve it yourself, they should go to H4DI.org and register as a problem sponsor. Darren Halford who runs H4DI.org will help them curate the problems and then get it in to the hands of the right university who can help them solve the problem. We want as many problems as the national security ecosystem can give us and we want to put as many talented graduate students against them as we can. But it has to start with a problem. So for anyone who has a challenge they want looked at, they should go to H4DI.org and start the process. MM: Obviously the program sponsors and liaisons are very helpful for building this Hacking for Defense system but there are other innovation initiatives happening within the defense community or outside of it. What other organizations have you been working with and what sort of support, whether it’s financial or advocacy or guidance, have you been getting from outside the Hacking for Defense Initiative? CT: Everyone has been supportive. [Defense Innovation Unit: Experimental] DIUx has been fantastic to us. The Defense Innovation Board has been very involved; Josh Marcuse and Aaron Schumacher from the Defense Innovation Board have been exceptionally supportive of us. The Defense Entrepreneur’s Forum (DEFx), run by Jim Perkins and Ben Taylor, have been all over us. They serve as mentors for us, they get the word out to the innovation community. They very much welcome this new thing into their innovation meadow and we all try to help each other make progress together. I can’t say enough about the Defense Innovation Board, DIUx, the Defense Entrepreneurs Forum, and the Vice Chairman of the Joint Chiefs of Staff General Selva’s office has been exceptionally supportive. And of course our friends at MD5: Jay Harrison, Joe Schuman, and Libbie Prescott have been fantastic to us, as has everyone out at Stanford. It’s a rockstar crew and we couldn’t be happier to be working with all of them. MM: As you approached these organizations for the first time, were they receptive right off the bat and wanting to work on partnerships and provide support or was it something that you need to sell? CT: It was not a difficult sell but I’ll tell you what sold everybody is inviting everybody to our opening class at Georgetown. We had 20 students but 113 people in the classroom. And they were all curious about how this Hacking for Defense program was going to work. At the end of the class, everyone was on board. We have routinely 80 people in the classroom every week for 13 weeks working on helping us get better. The corporate partners are fantastic, too. They step up every time. Once the different islands of innovation, like DIUx and Defense Innovation Board, saw it? Sold. It was kind of like finding a kindred spirit in the national security innovation wilderness. MM: It’s very interesting what you’re working on but we’ve started to reach the end of our interview. As is Sea Control tradition, from time to time, I want to know more about what you’re reading. What things have you been reading recently that will either help the audience learn the ideas behind Hacking for Defense or even unrelated topics? CT: Since we’re still in the semester, I am focusing on the books that we are using for Hacking for Defense. One of them is called Value Proposition Design by Alex Osterwalder. Steve Blank’s book The Startup Owner’s Manual is one of our texts and it is fantastic. His other book, Four Steps to the Epiphany, is also great. As I mentioned before, it’s important for students to understand how to better have conversations and elicit information so Talking to Humans is a great book. Personally, I just finished Ed Catmell’s book Creativity, Inc which was just amazing to me. I thought it was one of the best books on not only business management but also on how to think through problems. For national security stuff, I’ve become addicted to the Cypher Brief. They do really smart stuff by really smart people. It’s different from what everyone else is doing. I read it every morning. MM: Everything you’re working on is wonderful. It’s exciting to me personally. I may go down the hall tomorrow when everyone is back to work after Patriot’s Day and talk to the people at the Security Studies Program at Fletcher about maybe trying to start a course like this. Thank you very much for the work you’re doing on behalf of the nation and world security. Thanks for being on Sea Control today. CT: It’s absolutely my pleasure. Thank you. Matthew Merighi is the Senior Producer for Sea Control. He is also Assistant Director of Maritime Studies at the Fletcher School at Tufts University and CEO of Blue Water Metrics.